Get ready for a nourishing and healthier summer with these 5 easy swaps you can do today! Tell me friend, exactly how hot is it where you are? It ranges between 95 and 100+ degrees here everyday, and I am finding that I am doing every single thing possible to keep cool. I’ve switched to taking cold showers, pinning my hair up all the time and of course, I’m keeping my fruit intake and hydration up. During the summer this is one of the things that I LOVE the most about fruits and veggies – so many of them are made up of so much water! Not surprisingly, our house has been endlessly stocked with fresh and frozen fruits all summer long. If you were following along, then you know we just finished our very first challenge – our Smoothie Challenge! 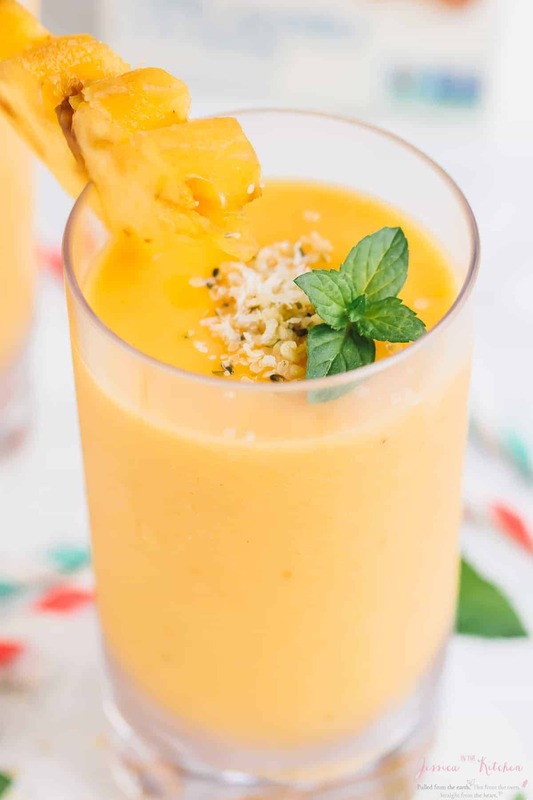 That simple swap to a cold, nourishing and easy breakfast made such a big difference that I was inspired to do this post to let you know 5 easy swaps you can make this summer that will not only keep you hydrated, but will up your fruit and veggie intake in ways that you won’t even notice! You can try these swaps for yourself, your kids or your whole family. Trust me – you’ll see great differences with them! A few years ago, the Mr. and I both cut soda out of our lives. I took a sip of soda a while back by accident and the amount of sugar send my tastebuds into complete shock. I won’t harp too long on this one, but soda is loaded with processed sugars and has absolutely zero health benefits. What’s more, you’ll probably feel a whole lot more thirstier drinking soda. If you’ve been trying to kick the habit for a while but miss the taste of a flavoured drink, give infused water a try! 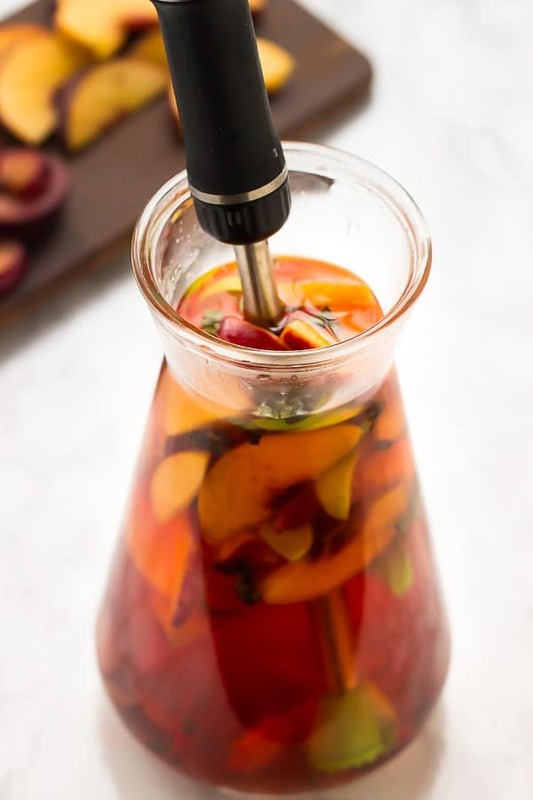 Infused water is so easy to make and is such a great way to up your water intake while also having fruits – a two in one. There are lots of fancy containers for this, but I simply fill a pitcher with water, then add in some of my favourite fruits. Strawberries, mint, cucumbers is my favourite combo, then I muddle some of the fruits and just let it sit. Sometimes an hour, sometimes overnight. What happens is that the fruit flavours combine with the water so you get a deliciously refreshing drink that is giving you so many added benefits and nutrients at the same time. Perfect for summer, and it’ll definitely encourage you to keep drinking your water! Give it a try – swap a soda for infused water, one at a time, until you find that you don’t even need soda anymore. 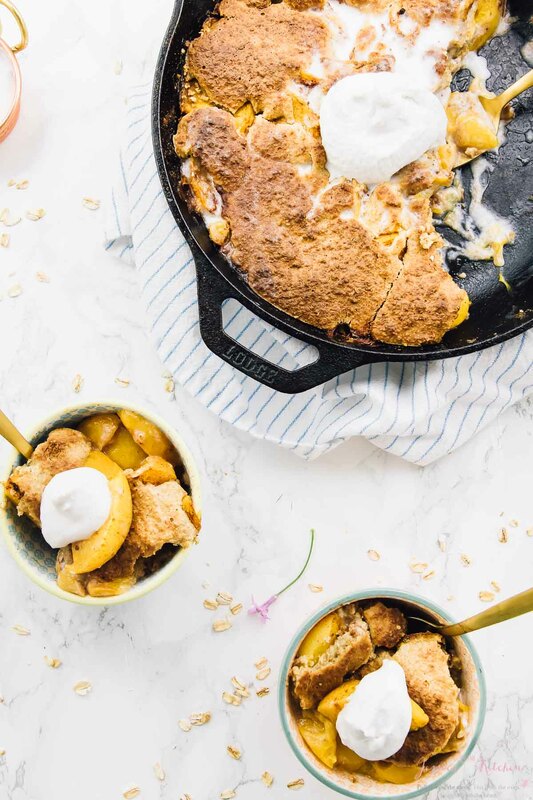 Fruit-based desserts absolutely WIN summer!! These desserts will keep you hydrated, while tasting delicious! I love things like strawberry coconut ice cream, banana nice cream and pineapple whip. 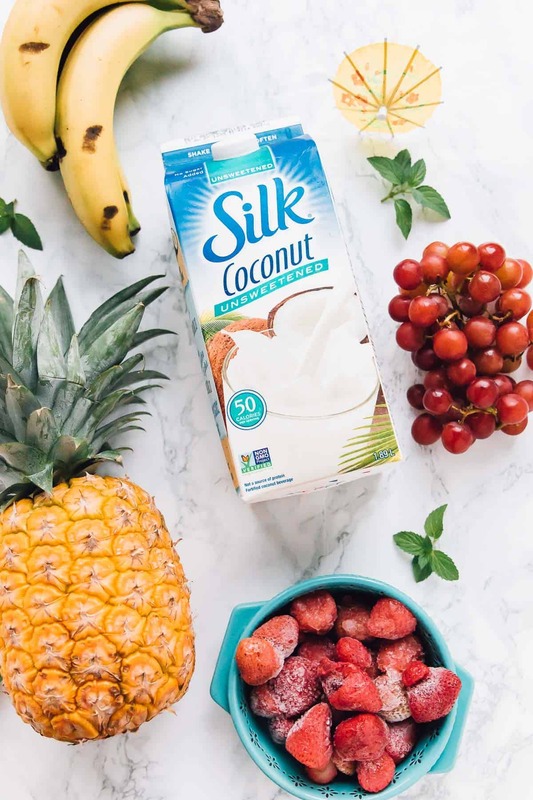 To celebrate all things coconut (the BEST) I love using Silk Coconutmilk to make these treats even better. 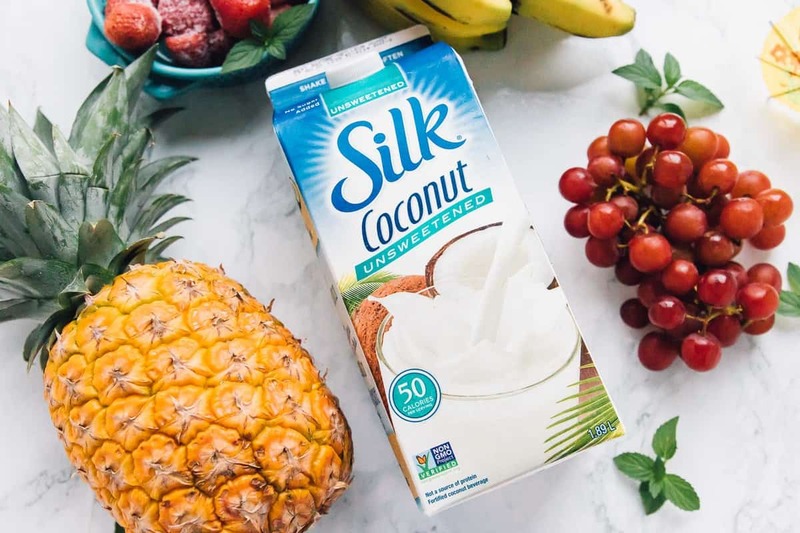 At only 50 calories for a cup, you can start incorporating this into all your favourite milk recipes and swap that for this Coconutmilk. Also, WHAT a taste! The flavour is so pure yet so coconut-y, and adds a delicious summer vibe to everything! If you haven’t tried pineapple whip, you are missing out. It’s basically piña colada in a soft serve form! I peel the pineapple, cut it up, freeze it overnight. Then I blend it in a food processor with ½ cup of Silk Coconutmilk until it resembles a soft serve ice cream texture. Then you can dollop it, spoon it or use a piping bag to shape it out. It’s cute and SO delicious and refreshing. Perfect for kids, summer barbecues, and pool parties. It’s low in calories but high in nutrients and taste. It’s a great swap that won’t weigh you down this summer. Smoothies are LIFE! After a week of the Smoothie Challenge, I will be on the smoothie patrol for the rest of the summer! It’s so hard to explain how much a smoothie a day helped with my day. Not only did it start great, but I felt SO energised all day long. All those fruits really kept my mind and body moving. 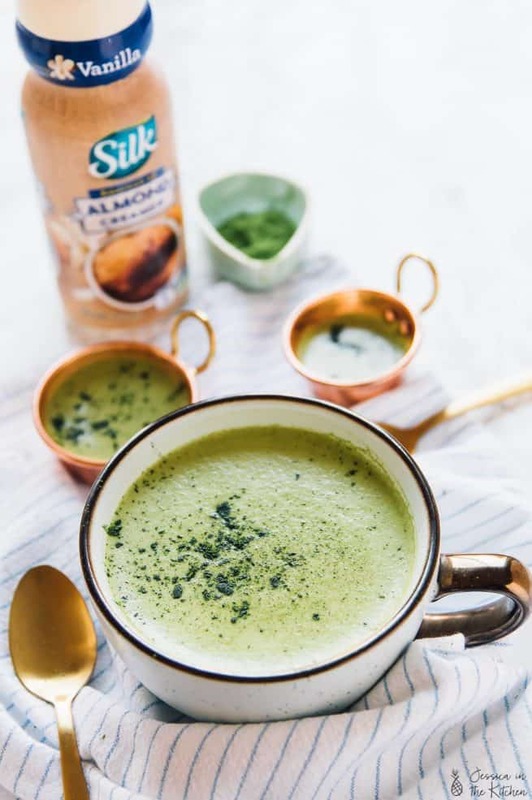 Throughout the whole challenge I used Silk Almondmilk in my smoothies. I love that it’s not only low in calories, but filled with lots of delicious nutrients that simply complemented the fruits, and was so smooth too! The Mr. loved the smoothies and has asked that we keep going (win, win!). 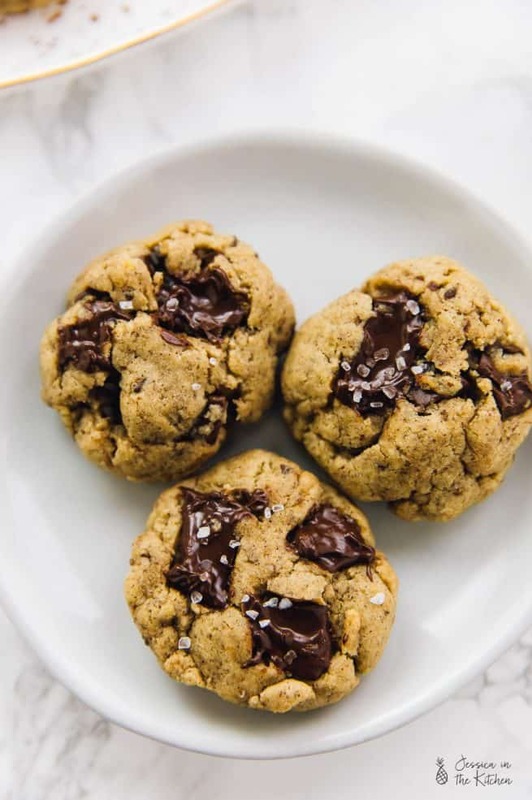 Needless to say, these will be so much better for you than having heavy, calorie-laden milkshakes that may taste great in the moment, but won’t leave you feeling so great. Try a delicious smoothie recipe (I love these 7 vegan banana smoothies) and see the difference. If you like your smoothies thick, remember to freeze your fruits. I LOVE avocado dressings. Seriously, this is the best avocado dressing I’ve ever tried, and I use it for all of my salads. A long time ago I lost the taste the traditional, super fatty store-bought salad dressings. Instead I buy the much healthier, organic ones or I make my own. 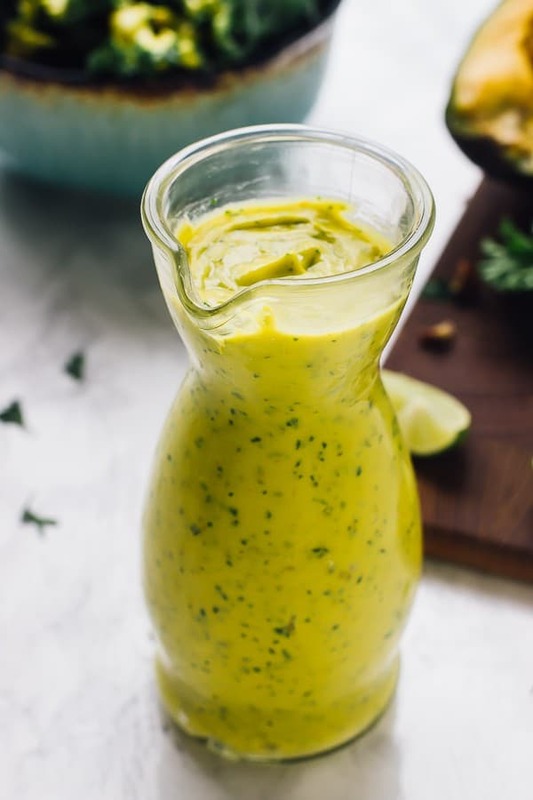 Why this dressing is so great is because the creaminess of the avocado adds so much body and flavour and taste to your salads, so it’s giving you delicious healthy fats at the same time! Also, that gorgeous green colour is something you simply can’t resist :). It’s super easy to make, and lasts a week in the fridge, although I doubt it’ll last that long – I always finish mine in like two days. Sometimes I even reduce the water and use it as a plant-based gorgeous mayonnaise too. Don’t knock baked veggie chips until you’ve tried them. I love kale chips, but they are so much more than kale chips! Beet chips are sweet, crunchy and so good for you, as are sweet potato chips. These chips are really easy to make, and require a mandolin or just a sharp knife and thin slices. They’re as easy as using coconut, avocado or olive oil to oil the slices, then baking them! I love to add sea salt to mine and sometimes even a touch of paprika or garlic powder for extra flavour. Best part? This will serve as a snack that helps to keep you full too! They offer a lot more nutritional benefit than bagged potato chips and aren’t deep fried either. Give them a try the next time you’re craving chips. I hope this tips are not only truly helpful, but will actually help to encourage to make some swaps that you’ve been wanting to make this summer. These are things I do all the time and I love not only how different I feel afterwards, but how easy they all are to incorporate. If you try any of these tips, let me know! Also, what other healthy/nourishing swaps do you like to make?! This is a sponsored conversation written by me on behalf of Silk! All opinions and text are 100% mine. Thanks so much for supporting the brands that support Jessica in the Kitchen! Thanks Jessica for this amazing post! A very hot around here in my place! That advice will help me. So happy to hear Lara, thank you!! You’re so welcome and thank you! !